Home Nigerian News Politics Here is what the Nigerian voter really wants! Here is what the Nigerian voter really wants! What does the average Nigerian voting adult want? Nothing? Absolutely nothing? Over the past few months, many friends and colleagues have asked me questions like: “Who are we voting for?” “Who will win the 2019 election?” ” Who are we supporting?” My answers have varied from question to question to question. To the first, I say, “I don’t know. Who do you want to vote for?” The second set of people get responses like, “my head says President Buhari, my heart says otherwise”. To the last set, I say; “we are supporting the Super Eagles”. All bants aside, I have sat myself down and asked about what the Nigerian voter wants. And I have still found nothing. Or better put, the Nigerian voter does not know what she or he wants. I’d explain. The Nigerian voter says (s)he wants visionary leadership; a leader who is educated, focused, has a track record, is not corrupt, understands the economy, can make power, education and healthcare work again, and can deliver the Nigerian of our dreams. This sounds like a great cocktail of needs, which an average Nigerian voter will tell you (s)he wants. The question then becomes, who can deliver this for us? The average Nigerian voter, who is largely neutral, and not sympathetic to the All Progressives Congress (APC) or the Peoples Democratic Party (PDP), will say “Atiku is 71, how long shall we have all these old men leading Nigeria? We want someone who is young and can get the job done”. “Besides, Atiku has looted Nigeria in the past, hence his troubles with his boss Olusegun Obasanjo. He privatised NITEL for his own looting process, he was in the Jeffersons scam. I even heard he invested in the Yola distribution company (DisCo), and so he’s part of the sabotage in the power sector. “Atiku may have business acumen, but we need more than that. We need someone we can trust,” the Nigerian voter will tell you. Enter Fela Durotoye, purely from the private sector, as young and as competent as they get. You do not want a 71-year-old man leading a nation with an average age of 19. Fela is 47, you can trust him. So why not vote for me? You then remind the Nigerian voting adult that Fela is a management consultant, who has made many international businesses work. You tell her that Benjamin D’Israeli, two-time Prime minister of the United Kingdom, once said: “With words, we govern men”. You tell them that Fela’s public speaking is a strength, not a weakness. “So vote for incumbent Muhammadu Buhari to continue then,” you tell the Nigerian voter, and the response is almost expected. “Under Buhari, Nigeria became the poverty capital of the world. We became home to the highest number of out-of-school children. Our human development indices fell drastically; Buhari cannot be the answer,” (s)he says. You reel out Buhari’s achievements, and end with: “He is a strong leader, the kind Nigeria needs”. The Nigerian voter reminds you of Buhari’s health challenge and his affinity for foreign travels. “He doesn’t care about healthcare in the nation, he travels abroad to treat cough, and still demarkets Nigeria in the process. Besides Buhari is closer to 80 than 70, we don’t need a grandfather”. How good do they come, why not Kingsley Moghalu? He is a great fit for the job. Great education, nice experience, relatively young, former deputy governor of the Central Bank of Nigeria. He understands the economy and its dynamics, he would care about education too. He goes on to say he was in the CBN for many years, what did he do? The Nigerian voter goes on to find many more reasons why Moghalu will not be president, and concludes with “I cannot waste my vote”. Former vice-president of the World Bank, an adviser to many governments across the world, recently endorsed by Joyce Banda, former president of Malawi, and most importantly, two-time minister of the federal republic. 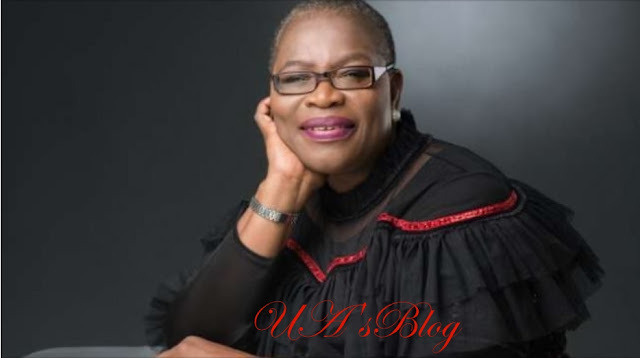 This is Oby Ezekwesili, and she is running for president. In the history of Nigeria, less than five women have run for president — Obasanjo’s wife being one of them — and none of them boasts of this kind of CV and tenacity to deliver for Nigerians. So why not vote for this woman, you ask the Nigerian voter. The response: “All the BringBackOurGirls that she was involved in, the red card movement, and all, was simply because she wanted to run for president. Her ciriticism of the incumbent is only because she wants to run”. You then try to convince the voter by saying, but you know that if you want to go with a cocktail of age, experience, track record, and previous delivery, this is the woman you should be voting for. The voter then goes lower by saying, “a woman cannot be the Nigerian president at this time; we are not ready for that”. “Besides, she came out late; if you want to run for president in Nigeria, you start at least four years earlier. I believe she can do it, but she can’t win. So why waste my vote? Why are we even having these discussions when my vote won’t count?” The voter concludes. DEAR NIGERIAN VOTER, WHAT DO YOU WANT? This aggregation of thoughts is what I have found online and offline since the campaign season started months ago. The average Nigerian wants good for the nation, but somehow resorts to moving towards the devil and the deep blue sea — or simply maintains no movement at all, when it comes to elections. This will not change Nigeria. The voter must know what (s)he wants, and go for it. Your votes will count; if they won’t, the politicians would not lie to you for it, they will not pay you for it, they will not beg you for it. Your vote will count. So vote your original choice; our results can be different this time, if the silent majority, speak.